Foot Petals - Fancy Feet by Foot Petals 3/4 Insoles Shoe Inserts Give your favorite pair of shoes a comfortable makeover from the inside out. 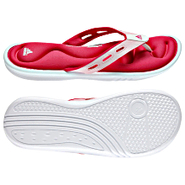 These insoles cushion your foot and prevent your feet from sliding all over the place. Foot Petals - Fancy Feet by Foot Petals 3/4 Invigorating Gel Ins Give your favorite pair of shoes a comfortable makeover from the inside out. These gel insoles cushion your foot and prevent your feet from sliding all over the place. 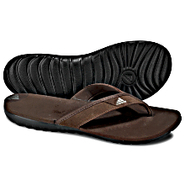 Adidas - Calo 3 Slides Slip into the adidas Calo 3 slide for strolling-on-the-beach comfort. With its contrasting colors eye-catching design and comfortable EVA footbed your promenade just couldn't get any better. 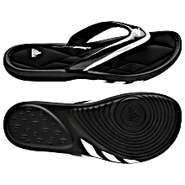 Adidas - Protect your feet from shower room bacteria. 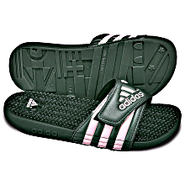 These adidas Taedia Vario Slides have an adjustable upper and a quick-drying bandage lining. 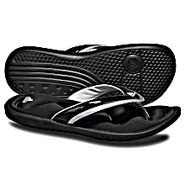 And for added comfort these locker room slides feature a textured footbed. 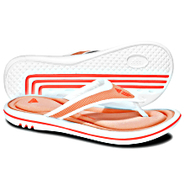 Adidas - Ayuna 2 Slides Sporty modern open and airy these cushy thongs are all about comfort right down to the fitFOAM(r) footbed that hugs every curve of the foot. A new design graces the feminine upper. 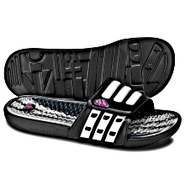 Adidas - adilette Slides Originally launched in 1972 to the joy of grateful feet everywhere the adilette is the most famous apres-sport slide on the market today. Adidas - Calissage Slides What's good for him is even better for her. This women's version of our classic after-sport slide has comfort in every detail from the adjustable fit to the massage footbed. 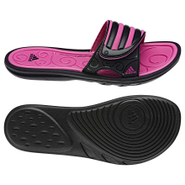 Adidas - adipearl Slides Talk about knockout comfort for your feet! The adidas adipearl slide puts you at supreme ease with the new PubbleGRAIN encapsulated TPR granulate that gently massages your feet as you walk. 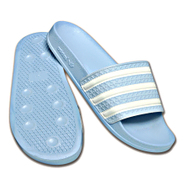 Adidas - A reliable pair of slides is a summer staple. 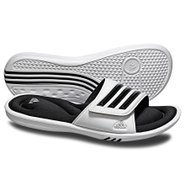 These adidas Sleekweia Slides feature the quick-drying and comfortable SUPERCLOUD(tm) footbed EVA cushioning and stylish debossed swirls. 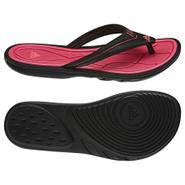 Adidas - Cute and sporty the adidas Harvella Thong is the pinnacle of the comfortable slide. 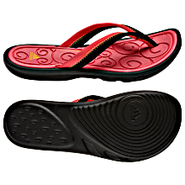 With a super-soft UltraFOAM(tm)+ EVA footbed that hugs your foot and handles moisture like a pro. 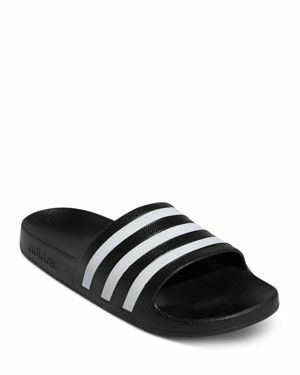 Adidas - Sporty but with a girly twist these adidas Sleekwana Slides feature an ultra-soft SUPERCLOUD(tm) quick-drying footbed and an adjustable upper. 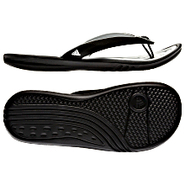 These modern slides also feature a comfortable EVA outsole. Adidas - Get your massage on. 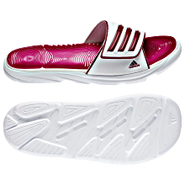 These adidas WhirlTECH Slides have extra-soft massage ribs that pamper your feet with every step and an EVA-cushioned outsole that makes for a comfortable stride. 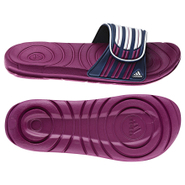 Adidas - Give your feet a break with the adidas Manyanda Slides. 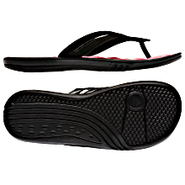 They feature a sporty synthetic build with a FitFOAM(tm) footbed for unrivaled comfort and sleek style. 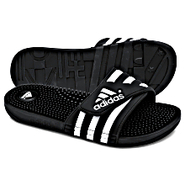 Adidas - adiSlide Sport FitFOAM Slides For an extra-comfortable custom fit these adidas adiSlide Sport FitFOAM(tm) slip-ons feature a footbed made from special visco-elastic rebound foam that molds to the specific contours of your foot.